Construction of a new section of rail for the Cortex MetroLink Station project has been completed, and MetroLink will begin operating on this new track starting on Monday, April 30. Work to accommodate this change in operation may result in delays for some Red Line and Blue Line MetroLink passengers this weekend. A new section of rail has been installed north of the existing MetroLink tracks between Sarah Street and Boyle Avenue. This rail connects with the new Cortex MetroLink Station, which is scheduled to open later this year. Westbound MetroLink trains will begin operating on this new section of track starting Monday, and trains will pass through the Cortex MetroLink Station project area as construction continues on the new station. In preparation for this track shift, on Friday, April 27, from 8 p.m. to end of service and all day on Saturday, April 28, and Sunday, April 29, MetroLink will operate on a single track at the Grand MetroLink Station, and Blue Line trains will only operate between the Forest Park-DeBaliviere and Shrewsbury-Lansdowne I-44 MetroLink Stations. Westbound Blue Line passengers will need to board a Red Line train between the Fairview Heights and Central West End MetroLink Stations, and travel to the Forest Park-DeBaliviere Station to transfer to a Blue Line train and continue their westbound trip. Eastbound Blue Line passengers will need to board a Red Line train at the Forest Park-DeBaliviere Station to continue their eastbound trip. 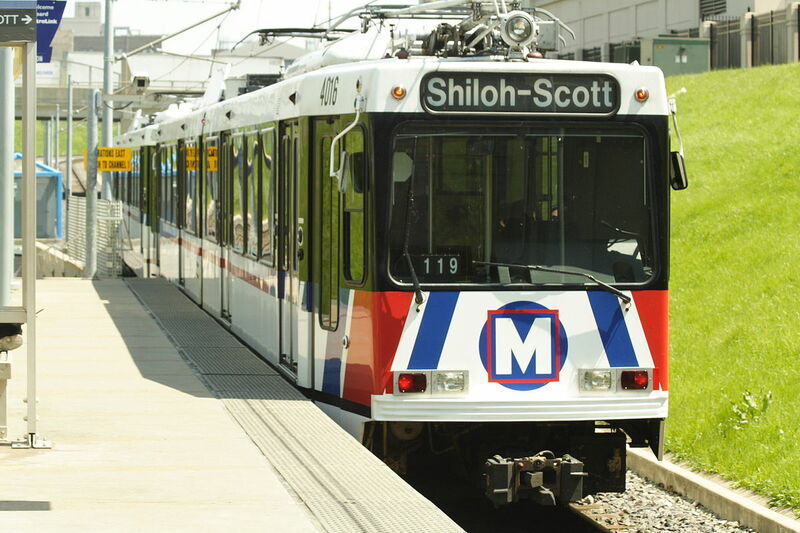 Red Line MetroLink passengers may experience delays of 5 to 10 minutes. you know any techniques to help protect against content from being stolen? I’d certainly appreciate it. it. Is there anyone else having similar RSS issues? internet visitors, its really really fastidious article on building up new weblog. I’ll be sure to bookmark it and return to learn extra of your helpful information. Thanks for the post. knows the answer can you kindly respond? It’s truly a nice and useful piece of information. I am glad that you simply shared this useful information with us. Pretty component to content. I just stumbled upon your site and in accession capital to assert that I get actually enjoyed account your weblog posts. If you want to get a good deal from this post then you have to apply these strategies to your won webpage. this point in time i am reading this enormous informative paragraph here at my house. would never understand. It kind of feels too complex and extremely huge for me. state. That is the very first time I frequented your web page and so far? Yes! Finally someone writes about brazil flag image. to create this type of fantastic informative website. songs present at this web site is actually fabulous. added your RSS feeds, so when I have time I will be back to read more, Please do keep up the awesome work. your permission allow me to clutch your feed to keep up to date with impending post. Howdy very nice web site!! Guy .. Beautiful .. Superb .. I know my subscribers would enjoy your work. If you’re even remotely interested, feel free to send me an email. here within the post, we need develop extra techniques on this regard, thanks for sharing. I’m excited to find this website. I wanted to thank you for your time for this fantastic read!! you saved to fav to check out new stuff on your site. Really when someone doesn’t know afterward its up to other visitors that they will assist, so here it occurs. Great blog you have here but I was curious about if you knew of any community forums that cover the same topics discussed here? Hi mates, its fantastic paragraph regarding teachingand completely explained, keep it up all the time. I’ll immediately clutch your rss feed as I can’t in finding your e-mail subscription hyperlink or newsletter service. you, you have hit the nail on the head. The problem is something that too few folks are speaking intelligently about. time here at web, but I know I am getting experience daily by reading such fastidious articles. I’m experiencing some minor security issues with my latest website and I would like to find something more secure. this website. It’s simple, yet effective. A lot of times it’s very difficult to get that “perfect balance” between superb usability and visual appeal. I must say you’ve done a amazing job with this. In addition, the blog loads super quick for me on Firefox. smartly written article. I’ll be sure to bookmark it and return to learn extra of your useful information. web site; this blog includes remarkable and genuinely good material for visitors. it. Is there anybody else having the same RSS problems? website, and your views are pleasant designed for new visitors. I visited many websites however the audio quality for audio songs current at this web site is really fabulous. like to learn where you got this from or what the theme is called. saved your site and I’m including your RSS feeds to my Google account. to your blog. Is this a paid theme or did you customize it yourself? with my facebook group? There’s a lot of folks that I think would really appreciate your content. I’m really impressed with your writing skills and also with the format on your blog. I am getting that kind of information written in such an ideal means? Ahaa, its nice conversation regarding this post at this place at this blog, I have read all that, so at this time me also commenting at this place. Thanks for any other fantastic post. Where else may anyone get that type of information in such an ideal approach of writing? site, as here every stuff is quality based information. It’s amazing to pay a quick visit this web site and reading the views of all colleagues on the topic of this paragraph, while I am also zealous of getting experience. part consider it from so many numerous angles. Its like men and women are not involved unless it is something to accomplish with Woman gaga! MetroLink to operate on a new track starting Monday – Clayton Times <Loved it! got here up, it looks great. I’ve bookmarked it in my google bookmarks. you’re speaking about! Bookmarked. Kindly also discuss with my website =). I simply want to mention I am beginner to weblog and certainly savored this web page. Very likely I’m planning to bookmark your site . You amazingly have wonderful articles and reviews. Regards for sharing your website page. weblog and wished to mention that I’ve truly enjoyed surfing around your blog posts. After all I will be subscribing on your feed and I hope you write once more very soon! Cool Some very valid points! I appreciate you writing this post and the rest of the website is also very good. I am fairly certain I’ll be told many new stuff proper here! What’s up to all, it’s actually a nice for me to go to see this web page, it includes precious Information. Its like you read my mind! You appear to grasp so much approximately this, like you wrote the e book in it or something. message home a little bit, but other than that, this is great blog. It’s awesome in support of me to have a web site, which is helpful in support of my knowledge. Good day, have you ever previously considered to write about Nintendo or PS handheld? any ideas to help fix this problem? Remarkable! Its truly remarkable piece of writing, I have got much clear idea concerning from this piece of writing. have touched some fastidious points here. Any way keep up wrinting. Hi i am kavin, its my first time to commenting anyplace, when i read this piece of writing i thought i could also create comment due to this sensible article. so i came to “return the favor”.I’m trying to find things to enhance my web site!I suppose its ok to use a few of your ideas!! as I’m wanting to create my own website and want to find out where you got this from or exactly what the theme is called. I am planning to transfer to Australia completely. Hopefully, my immigration process will be completed this year and also I will relocate the beginning of 2011. Can someone suggest some exceptional resources and also blog sites concerning making the plans for settling in Australia?. fantastic submit, very informative. I wonder why the opposite specialists of this sector don’t notice this.You should continue your writing. I am sure, you have a huge readers’ base already! Hey There. I discovered your blog using msn. This is a very neatly written article. read extra of your helpful info. Thanks for the post. you who aren’t afraid to mention how they believe. All the time follow your heart. Pretty element of content. I simply stumbled upon your blog and in accession capital to say that I get in fact loved account your weblog posts. Any way I’ll be subscribing on your augment or even I fulfillment you access constantly fast. but with images and video clips, this site could undeniably be one of the greatest in its niche. like to find something more safeguarded. Do you have any recommendations? to pay a quick visit this web page, it consists of useful Information. I am actually thankful to the owner of this website who has shared this wonderful post at at this place. about this paragraph, in my view its truly amazing in support of me. Hurrah! After all I got a website from where I be able to actually take useful information concerning my study and knowledge. The place else may just I get that kind of information written in such an ideal approach? Way cool! Some extremely valid points! I appreciate you writing this article and also the rest of the website is very good.
) I handle such information much. I used to be looking for this particular info for a very lengthy time. use web for that purpose, and take the hottest news. If some one wishes to be updated with newest technologies then he must be pay a visit this web page and be up to date everyday. I am extremely impressed with your writing skills as smartly as with the layout to your blog. an issue to light and make it important. More people ought to look at this and understand this side of the story. I was surprised you’re not more popular since you definitely have the gift. Amazing! Its genuinely remarkable paragraph, I have got much clear idea about from this paragraph. Is there a site that makes it very easy to comply with blogs and podcasts? I don’t have an iPod, does that matter?. Thanks for finally writing about >RELEASE: MetroLink to operate on a new track starting Monday – Clayton Times <Loved it! blogger lovers however this article is really a fastidious post, keep it up. brief for beginners. Could you please extend them a little from subsequent time? is the little changes that will make the greatest changes. this post is truly a pleasant paragraph, keep it up. Where else may just I get that kind of information written in such a perfect method? on this subject, but you seem like you know what you’re talking about! I’ve been exploring for a little bit for any high quality articles or blog posts on this sort of area . Reading this info So i’m happy to show that I’ve a very just right uncanny feeling I came upon exactly what I needed. writing, it’s rare to see a great weblog like this one today..
here within the post, we want work out extra techniques on this regard, thank you for sharing. getting knowledge everyday by reading thes fastidious content. article gives nice understanding yet. I definitely loved every part of it and I have you bookmarked to look at new stuff on your website. the reason that this this site conations really pleasant funny information too. I have actually been a yahoo users for some years currently. I am just beginning to utilize the tools which they give, among which being blog posts. I have actually created a blog and also would love to understand if my article are being seen by others. Otherwise after that does anybody recognize just how I get my posts check out. and wanted to mention that I’ve truly loved browsing your weblog posts. What’s up, everything is going well here and ofcourse every one is sharing facts, that’s actually fine, keep up writing. website on regular basis to obtain updated from most recent news. my presentation topic, which i am going to deliver in college.